Dealing With Manipulative People is.. 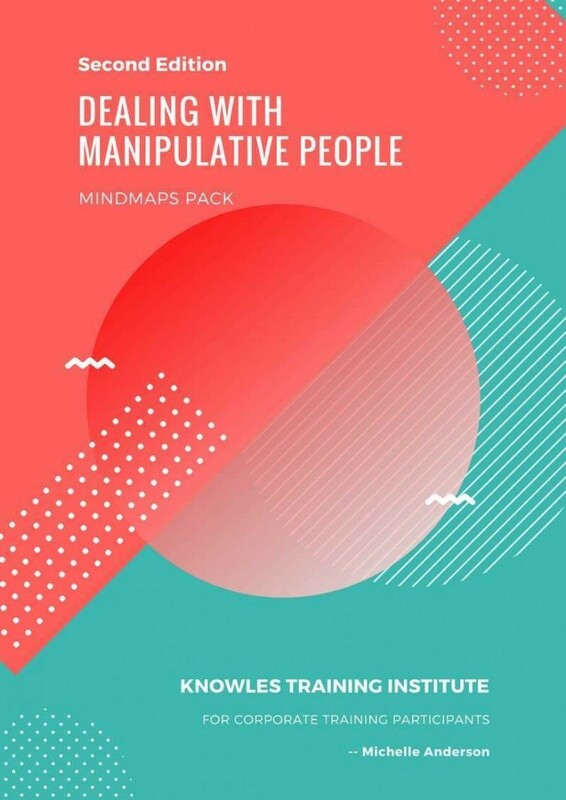 This Dealing With Manipulative People workshop is ideal for anyone who would like to gain a strong grasp and improve their Dealing With Manipulative People. The duration of this Dealing With Manipulative People workshop is 1 full day. Knowles Training Institute will also be able to contextualised this workshop according to different durations; 2 full days, 1 day, half day, 90 minutes and 60 minutes. Acquire knowledge to build a strong self identity that defies manipulative behaviours. Gain insight on building a greater sense of purpose and self-awareness that impact on value for oneself. Apply knowledge gained on assertiveness and tips of dealing with manipulative people. 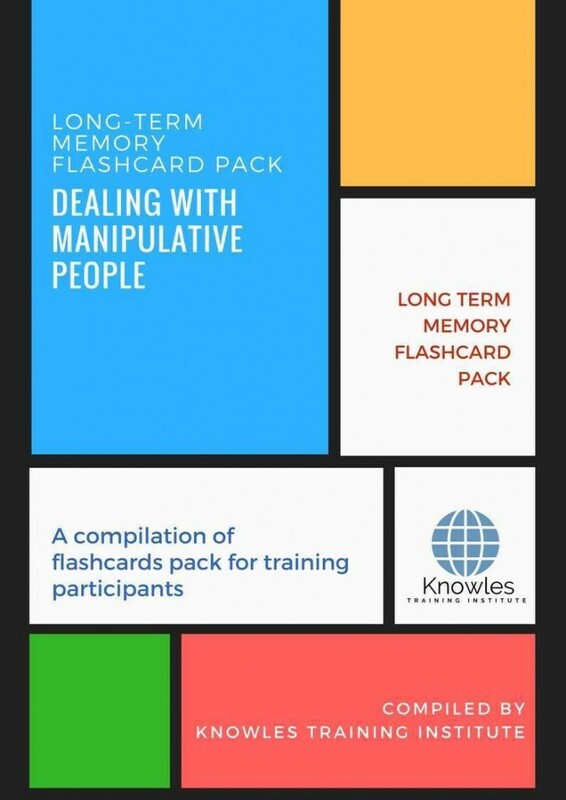 Enhanced knowledge on the behaviours and characteristics of manipulative people. Gain a basis to test professional character and develop personal and professional virtues. Employ the strategies of dealing with manipulative people to identify and grow professional strengths and morals. Employ the knowledge to differentiate vices from virtues, and wisely choose co-workers. Develop effective discernment and sobriety when communicating with manipulative people. Gain insight on personal values and self-awareness; and develop emotional intelligence. Acquire knowledge and insight on manipulative behaviours and how to cut manipulative people from our lives. Understand the meaning of manipulative people within the corporate context. Know the characteristics and behaviours of manipulative people within the corporate context. 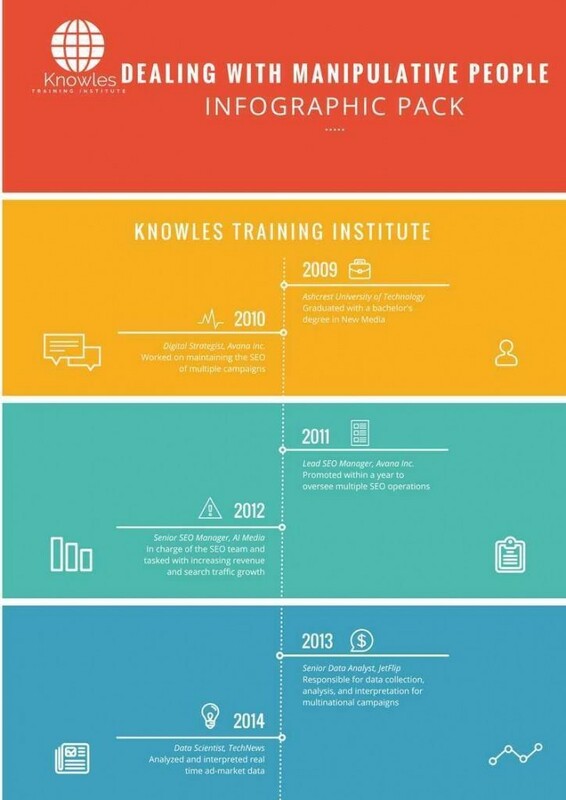 Know the different types of manipulative people present in the corporate world. 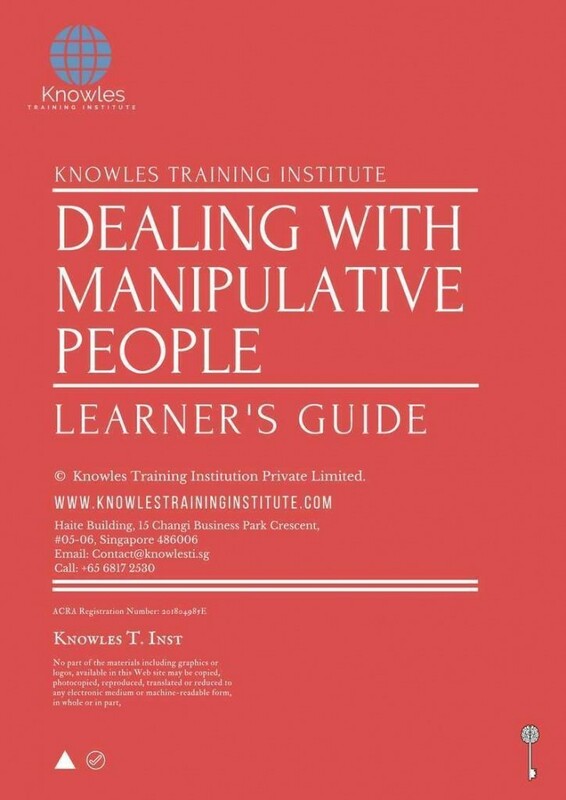 Learn the effective strategies of coping with manipulative people at the workplace. Learn the tips of dealing with manipulative people at the corporate workplace. Appreciate the role of assertiveness and discernment in dealing with manipulative people. Know the secrets and tricks of spotting and stopping manipulative traits among coworkers. Know the value of self-awareness and sense of purpose when dealing with manipulative people. 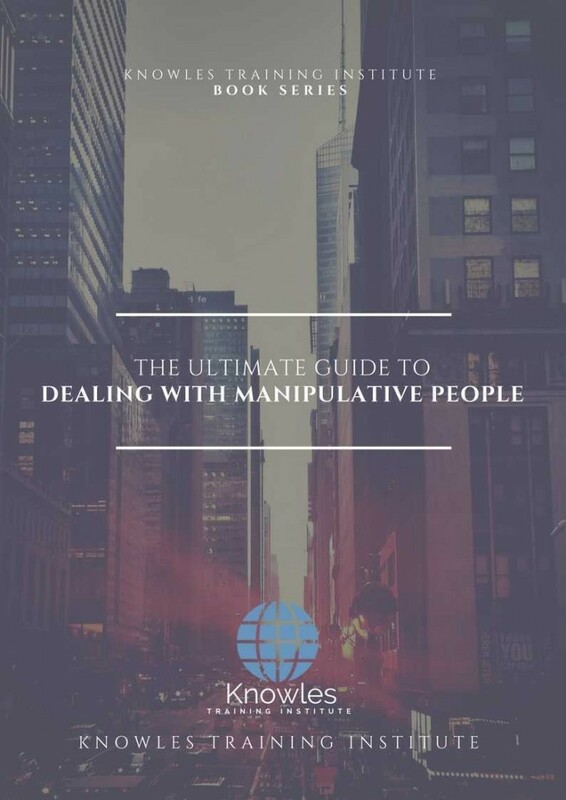 Explore the reasons and motivations behind manipulative people and how to respond. Learn the tips of working with and winning over manipulative people at the workplace. Expose the tricks and tools that manipulative people employ to control other coworkers. Understand the social, psychological and emotional impact of manipulation on others. Know how to identify manipulative traits through a manipulative personality test. Who is a manipulative person? Why do people manipulate others? What are the characteristics and behaviours of manipulative people within the corporate context? What are the different types of manipulative people present in the corporate world? What are the effective strategies of coping with manipulative people at the workplace? What are the tips of dealing with manipulative people at the corporate workplace? What is the role of assertiveness and discernment in dealing with manipulative people? What are the secrets and tricks of spotting manipulative traits among coworkers? How can an employee stop the manipulation? What is the value of self-awareness and sense of purpose when dealing with manipulative people? What are the reasons and motivations behind manipulative people and how to respond? What are the tips of working with and winning over manipulative people at the workplace? How can people build a strong personal brand that defies manipulative people? What are the tricks and tools that manipulative people employ to control other coworkers? What are the social, psychological and emotional effects of manipulation on others? How do you conduct a manipulative personality test to identify manipulative traits? There are 3 pricing options available for this Dealing With Manipulative People training course. 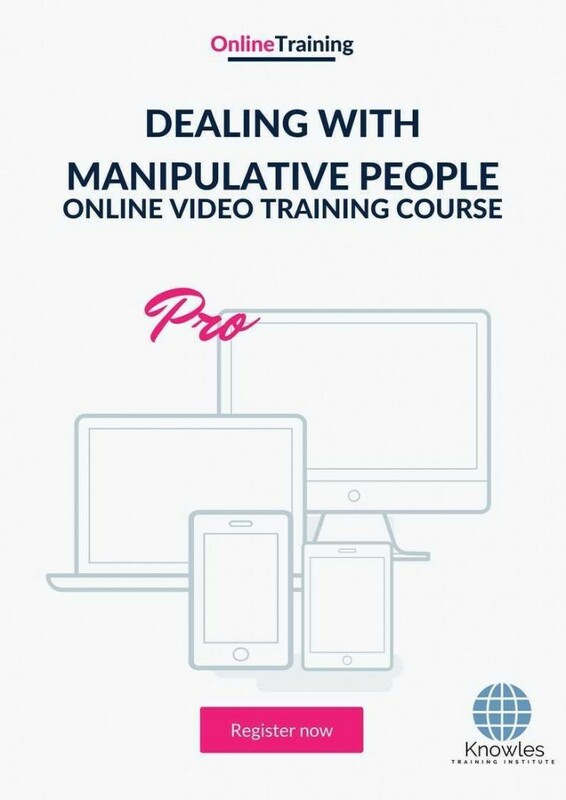 Course participants not in Singapore may choose to sign up for our online Dealing With Manipulative People training course. 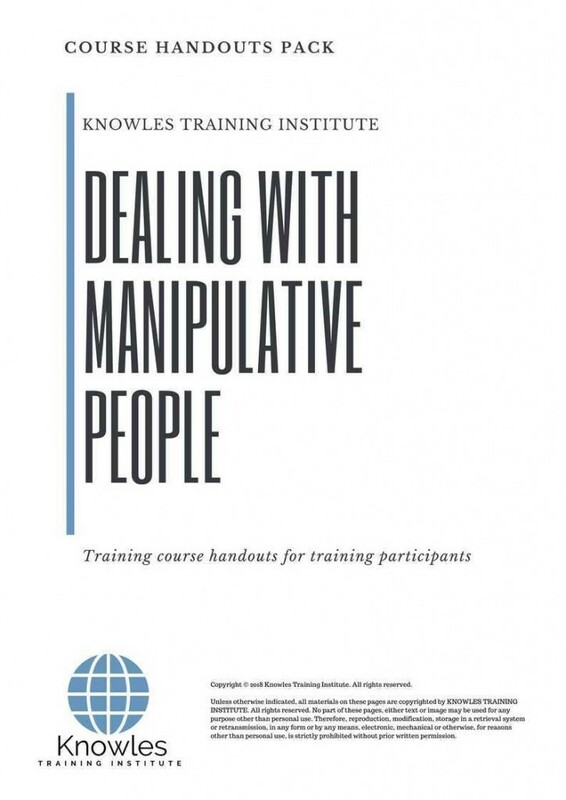 Request for this Dealing With Manipulative People course brochure. Fill up the short information below and we will send it to you right away! Register For This Dealing With Manipulative People Course Now! 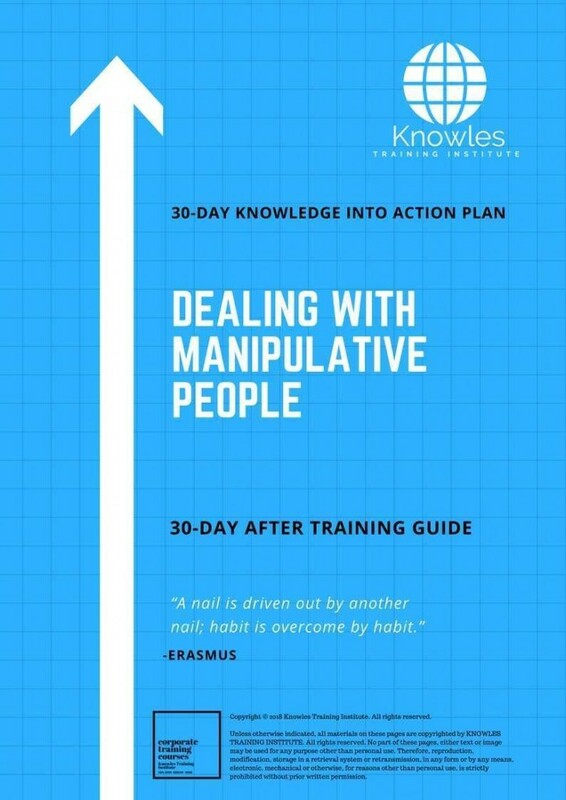 Share This Dealing With Manipulative People Training Course! 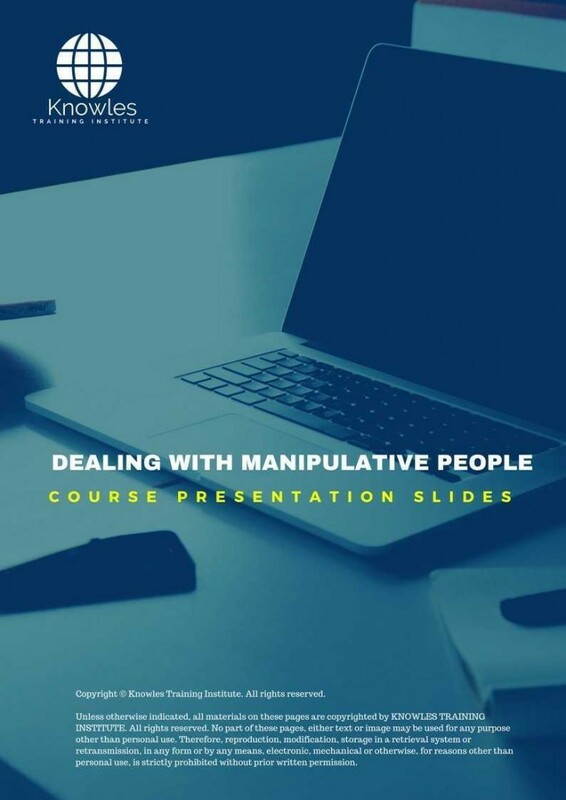 Dealing With Manipulative People course, workshop, training, class, seminar, talk, program, programme, activity, lecture. Dealing With Manipulative People courses, workshops, classes, seminars, talks, programs, programmes, activities, lectures in Singapore. Dealing With Manipulative People improvement tips, Dealing With Manipulative People techniques, improve Dealing With Manipulative People, improve Dealing With Manipulative People games, Dealing With Manipulative People improvement exercises, improve Dealing With Manipulative People power, how to have good Dealing With Manipulative People, how to have good Dealing With Manipulative People in studying, how to build up your Dealing With Manipulative People, how to improve Dealing With Manipulative People how to improve Dealing With Manipulative People course in Singapore. 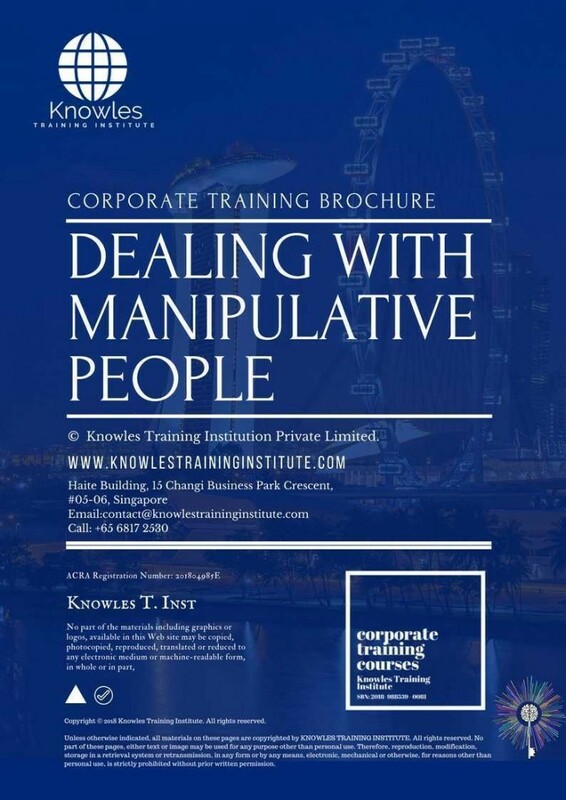 Enhance, boost, build up, enlarge, heighten Dealing With Manipulative People course in Singapore. Increase, intensify, raise, reinforce, strengthen Dealing With Manipulative People. Upgrade, amplify, boom, elevate, exaggerate, magnify, grow, gain Dealing With Manipulative People. Develop Dealing With Manipulative People, multiple, power up, beef up, bolster, establish, extend Dealing With Manipulative People. Invigorate, restore, step up, toughen, empower, fortify, regenerate Dealing With Manipulative People. Rejuvenate, renew, escalate, expand, maximize Dealing With Manipulative People. Powerful, mighty, impressive, competent, great, excellent, exceptional Dealing With Manipulative People in Singapore. Superb Dealing With Manipulative People. Super, superior, strong, solid, active Dealing With Manipulative People training courses and workshops in Singapore. Dealing With Manipulative People enhancement, booster, building up, enlargement, heightening, increment, strengthening, amplification. Dealing With Manipulative People magnification, growth, development, power, empowerment, regeneration. 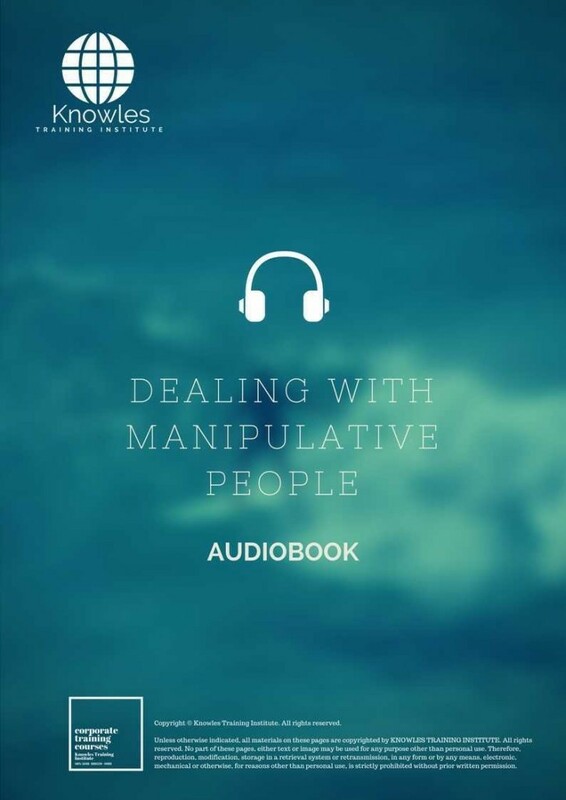 Dealing With Manipulative People rejuvenation, development, escalation, expansion. Dealing With Manipulative People maximization, power training courses & workshops in Singapore.